How to Make Creole Spice Mix. Creole seasonings developed in and around the New Orleans area of Louisiana many decades ago. Creole food is known for its spiciness and wonderful sauces. You can make a quick and simple Creole spice mix to cut down the preparation time of many Creole dishes you make at home. Instead of adding a tsp. of one ingredient and tbsp. of another, simply use your creole spice mix to add in the flavor you're after. Use the mixes as a starting point to make something you truly love like any other Cajun chef. Put the following ingredients in a food processor: 5 tbsp. sweet paprika, 2 tbsp. salt, 2 tbsp. dried sweet basil, 2 tbsp. dried oregano leaves, 2 tbsp. garlic powder, 2 tbsp. onion powder, 1 tbsp. celery seed, 1 tbsp. cayenne pepper, 1 tbsp. white pepper, 1 tbsp. black pepper and 1 tbsp. dried thyme leaves. Put the cover back on the food processor container and plug the food processor into the outlet. Pulse the food processor several times for 5 seconds each time to thoroughly mix the ingredients. Allow the ingredients to settle for a moment before removing the lid on the food processor. Pour your newly created Creole spice mix into the salt shaker. Get your food processor ready with the blade attachment installed. Add the following ingredients to the food processor: 2 1/2 tbsp. paprika, 2 tbsp. salt, 2 tbsp. garlic powder, 1 tbsp. dried thyme leaf, 1 tbsp. dried oregano, 1 tbsp. cayenne pepper, 1 tbsp. onion powder and 1 tbsp. black pepper. Pulse the food processor several times to mix the ingredients together. Pour this famous spice mix into an empty salt shaker or other air-tight container. Make your Creole spice mix hotter by increasing the amount of Cayenne and black or white pepper slightly. Remember that Cayenne pepper is very hot. Don't breathe in the Creole spice mix when you make it or you will enjoy a sneezing fit. 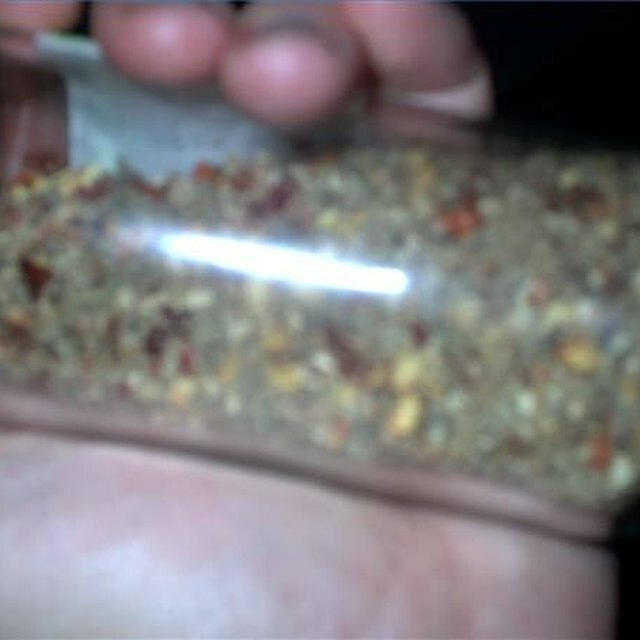 Avoid contact with your eyes while making this spice mix or you will experience a very unpleasant burning sensation.